If you said to me a few weeks ago that I would be wearing sweat pants for a casual outfit I would never believe you - They are incredibly comfy and I have found the perfect look which leaves me comfortable, warm and stylish. 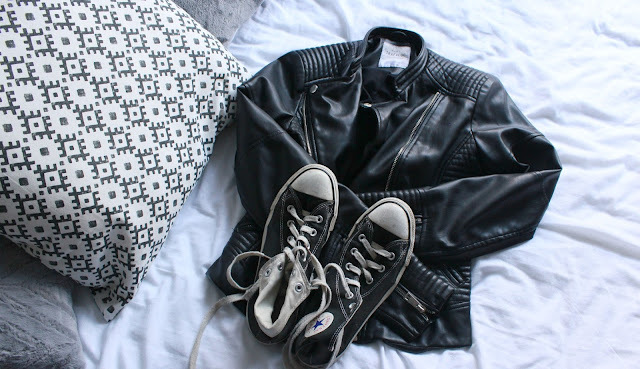 Paring some sweats with converse, a tee and a leather jacket is the perfect casual look - Depending on the colour sweats you have, you can change your top colour. 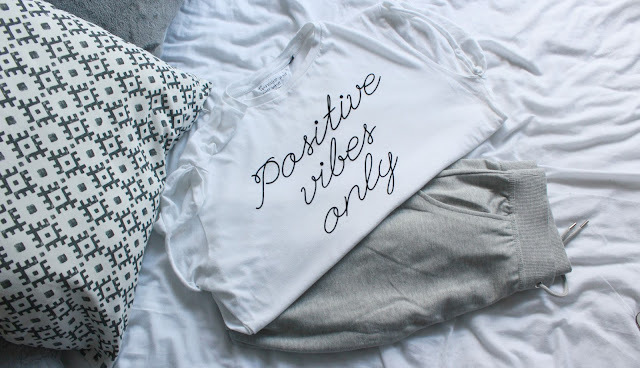 I love wearing grey sweats with a white slogan top - These ones are from New Look, with this oversized and casual Topshop slogan tee it looks perfect - Wearing converse and a leather jacket makes it a bit more casual - Less gym like. I've grown up with people wearing full on top and bottom tracksuits which really put me off (unless I was working out or wearing lounge wear). You can also opt for some darker grey marl sweats to pair with a plain black tee, converse and a leather jacket for another look. Would you wear casual sweats?